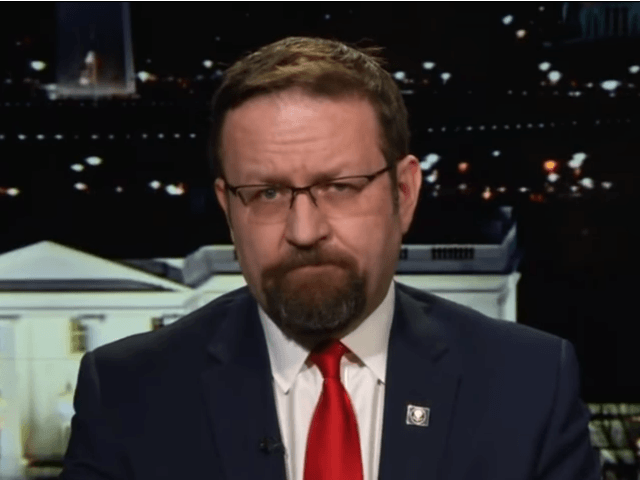 White House foreign policy adviser Dr. Sebastian Gorka showed up Wednesday at a book talk I gave at the headquarters of the Republican Jewish Coalition in Washington, D.C. He was joined by a Jewish White House colleague, along with several dozen other Jews. All of these Jews were unaware, apparently, that in their midst a hidden Nazi was lurking — at least, according to the Forward, which attempted Thursday to claim that Gorka is secretly a member of a Nazi organization. We have been here before. Last month, a left-wing blogger made the same false claim, which was thoroughly debunked by Breitbart News (where Gorka was once an editor) and others. Gorka denies it all. And as Trump critic Liel Leibovitz notes in Tablet, the Forward offers no proof other than the claims of the Historical Vitézi Rend, whom the Forward suddenly deems a trustworthy source not requiring further corroboration. It is possible to play this game both ways: In 2015, the Forward changed its name from “The Jewish Daily Forward” to simply “the Forward.” This, apparently, was a nod to left-wing antisemites. After all, the Forward is critical of Israel. Verdict: Guilty! That absurd statement, like the article that inspired it, is nothing more than the defamation of a good man and the most pro-Israel administration in U.S. history, staffed to the rafters with Jews.